This can be made as a mold by lining a bowl with plastic wrap and putting the spread in and chill for a few hours. Place a plate over the bowl and invert and remove plastic. I just like to put it in a bowl and serve it that way. Mix the cream cheese, sour cream, and spices until well blended. Add the crab and green pepper. Put into serving dish or a mold that you are using. Refrigerate for three hours for flavors to meld. These are a different cookie. Pretty healthy and somewhat addictive. You will also need an ungreased cookie sheet. Mix all ingredients in the order given. Form the cookies in the bowl of a tsp and place on cookie sheet. Bake in the preheated oven for 12-15 minutes. This is great for pancakes, blueberry or just plain. Great to make when you have extra blueberries on hand. You can use frozen or fresh for this. Puree 1/2 cup blueberries with the lemon juice in a blender or food processor. Pour into a medium saucepan and add everything but the rest of the blueberries. Bring to a boil, reduce heat and simmer for about 5 minutes. Add the remaining blueberries and simmer another 2-3 minutes. Discard cinnamon stick if you used it. This reminds me of food you can get when out to eat. It is very simple and very delicious.I came up with this one year when I had so many bell peppers I didn’t know what to do with them all. In a bowl mix the peppers and onion strips and set to the side. On a baking sheet, lay out the chicken breasts and season lightly with salt, pepper, and garlic powder. Bake for 30 minutes. 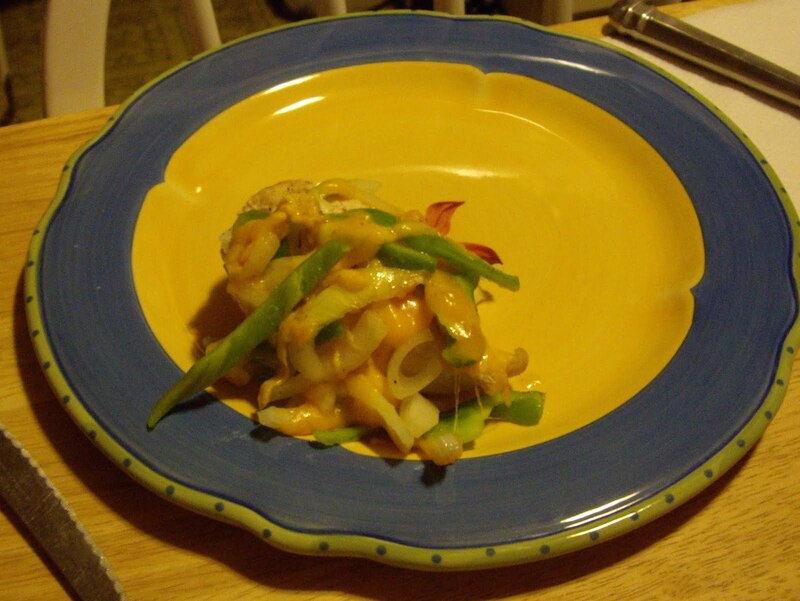 Remove from oven and put the bell pepper and onion strips on the tops of the chicken breasts. Do the same with the cheese. Return to oven for 5 minutes. Take out and serve. Works best with flatter chicken breasts. I love these. They will get stronger over time. The amount of ingredients you use determines how much you want to make. I usually make just a small amount at a time using 3-4 small cucumbers and using 1/3 water, 1/3 vinegar, and 1/3 sugar. Make enough vinegar mix to cover the cucumbers. Put the cucumbers in a bowl and mix the vinegar, water, and sugar and pour that over. Refrigerate for a bare minimum of 3 hours for good flavor. Good stuff, unless you are on a diet. About 3/4 pound bacon- Don’t use thick cut for these. Take out the bacon and cut the slices into thirds. Wrap each smokie with a slice of bacon and secure with a toothpick. Place on a baking sheet with sides and sprinkle brown sugar over all the smokies. Bake for 40 minutes until the sugar is bubbling. Lining the baking sheet with foil will help with cleanup. 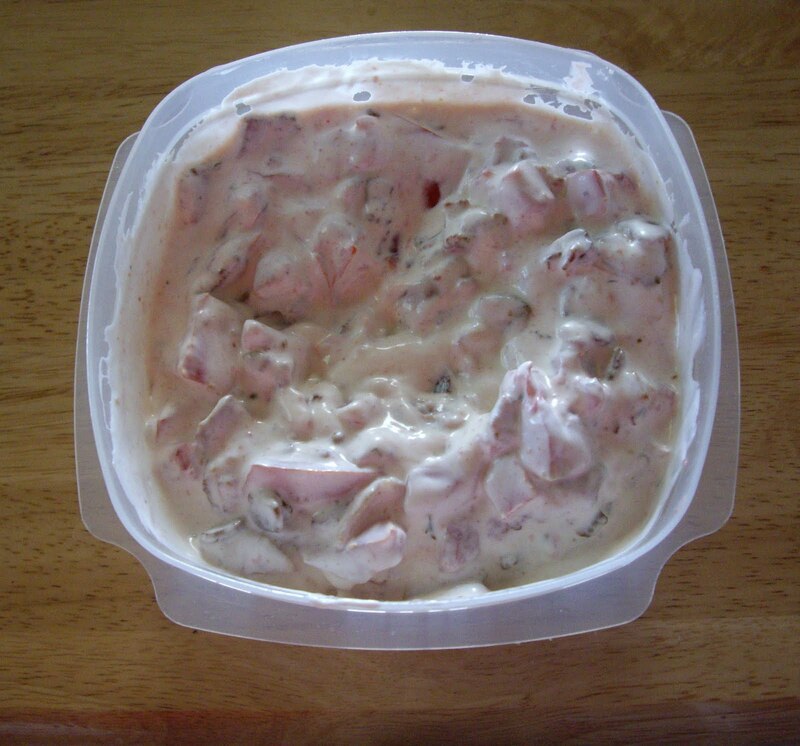 This dip is to die for. 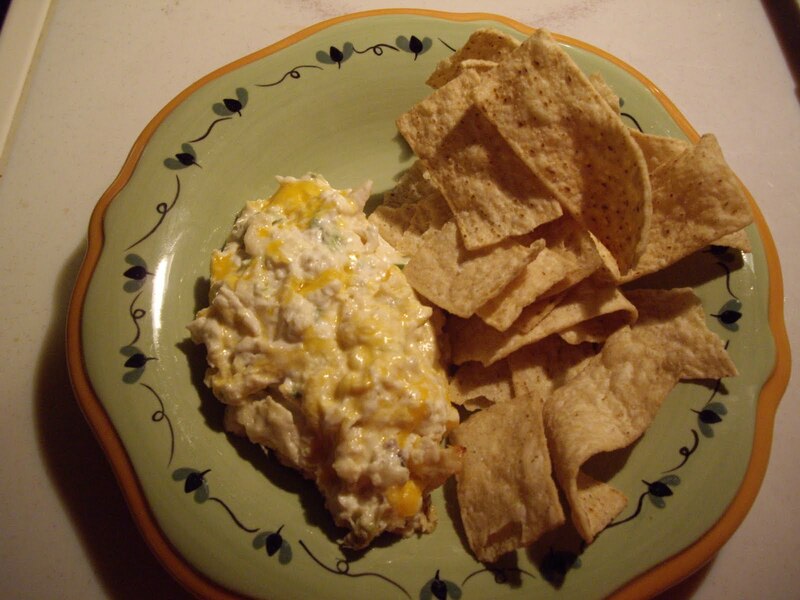 Serve it with tortilla chips and it tastes just like you are eating chicken enchiladas. It is a hot dip. I hope you enjoy. Preheat the oven to 350 degrees F/ 175 C.
Bake chicken in oven for about 20 minutes or until done. Take out, cool and shred or cube. In a mixing bowl add all of the ingredients and blend well. Transfer the mixture to a baking dish. 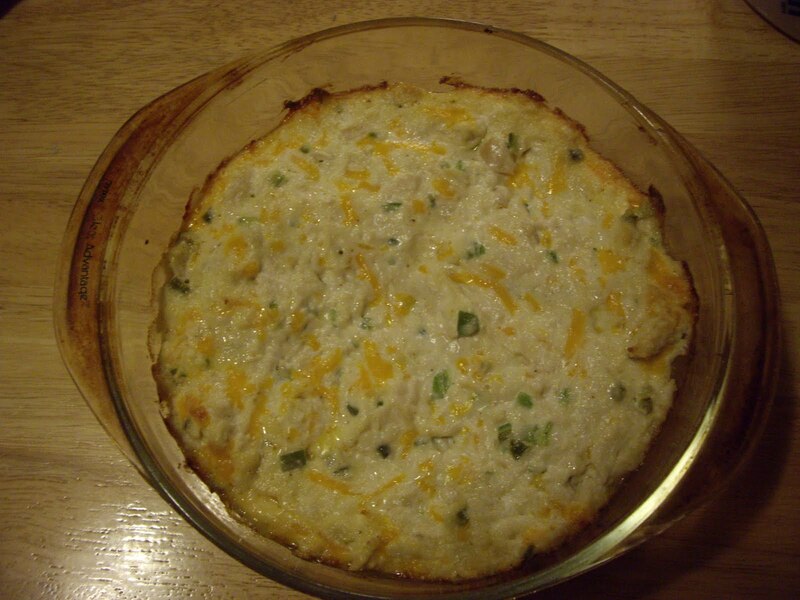 A 2 quart casserole works really well. Bake uncovered for 30 minutes. It will be bubbly and the edges will be golden. These are so good. They are very moist. If you love bananas and chocolate, you will love these bars. You will need a greased 13×9 baking pan. Add the flour, baking powder, baking soda, and salt. Mix until smooth. Pour half of the batter into another bowl. To the mixing bowl add the cocoa powder and mix well. Spread the cocoa mixture into greased pan. Carefully spread the reserved batter over the top and use a knife to swirl the batter. 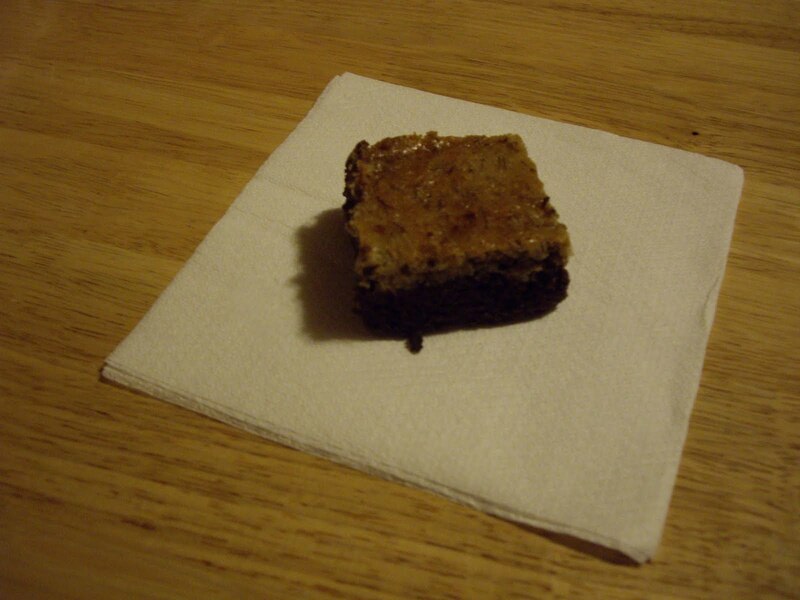 Bake for 25-30 minutes til bars test done when a toothpick is inserted in the middle. They are very moist so don’t stack together for storage, without putting a paper towel in between layers. These are tasty little snack bites. They don’t have a ton of heat, but there is a bit. Preheat oven to 350 degrees. You will need one large cookie sheet. Beat egg well. Add he rest of the ingredients in the order given. Roll in 1″ balls and place on the cookie sheet. Bake for 10-12 minutes or til light brown on the bottom. Remove from the pan to paper towels or a rack to cool. Sprinkle with paprika or chili powder. Makes about 2-3 dozen. You can make them smaller and get up to 72 if you truly want them bite size.